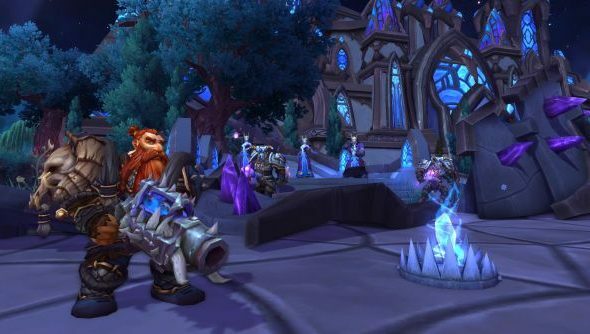 With World of Warcraft: Warlords of Draenor’s release date fast approaching you may find yourself all in a quandary. You want to start playing again along with all your friends but now they’re off on some other server and it’ll take ages to catch up if you start a new character. Wouldn’t it be great to just take your existing top level character and move it to another server? Well, that wizardry has existed for years now but in preparation for the expansion’s release Blizzard are knocking 25% off the price. It’s not just character transfers that are seeing a saving either. Between now and 29 October you can buy a character transfer, faction change, guild transfer, or a guild faction change with a 25% discount. You need to head over to the World of Warcraft store to buy the service. You’ll be asked to log into your Battle.net account and from there you’re off to the races. Hmm, that’s everything I’ve got to say on the matter. This post seems a little thin on the ground when it comes to content, though. A link to Nick’s Warlords of Draenor gear guide.